Contains a special formula for Roses, perfect for adding essential nutrients and bacteria to help promote healthy growth. 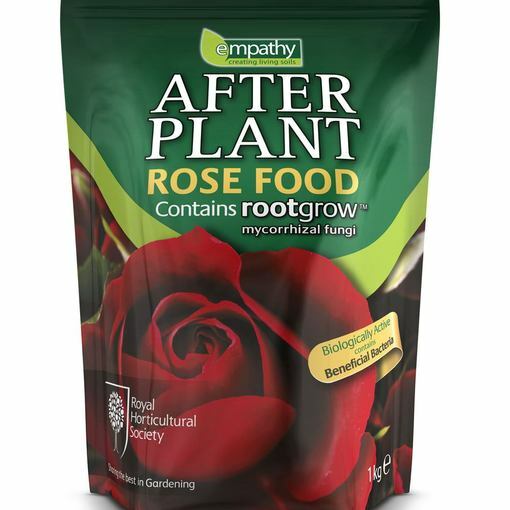 Empathy After Plant Rose Care is 100% peat free and guaranteed to improve drought resistance. It provides an enhanced natural vigour to all plants and bulbs and is environmentally friendly. See Planting and Growing Instructions below for application details. Sprinkle a handful of 20-50gs to the base of each established plant and water well. Best used in spring at the first sign of new growth and again mid-season.